Well, before we answer this question, let us first correct the question itself. 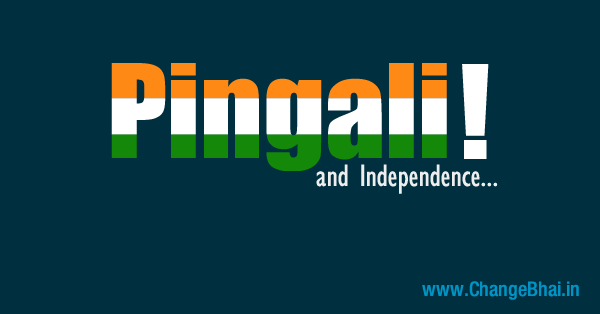 Pingali Venkayya is the person who designed our National Flag. For those who had not heard about him, he was an agriculturist and a freedom fighter from Andhra, who presented a version of our present day flag to Gandhiji. We strongly believe that our flag is more than just cloth and ink. It is the history of our nation, and is marked by the blood of those who died trying to create a free India. Don’t you agree!? This independence day, we speak about our beloved tricolour, our pride, our identity. 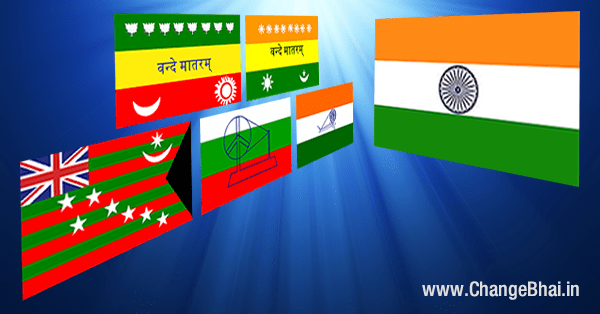 It is so really incredible to see the various changes that our National Flag has gone through since the beginning. The first version in red, yellow and green was hoisted on 7th August 1906, in the Green Park , Calcutta. The second version hoisted by Madame Cama and her team of exiled revolutionaries in 1907 was almost similar to its earlier version, but seven stars denoting the Saptarishi were added. The third version with the Union Jack (!!! Seriously, kaun dala ye) was hoisted by the renowned freedom fighter Lokmanya Tilak and Dr. Annie Besant. The fourth version in red and green came about in 1921. The red and green was said to symbolise the two major communities of India, Hindus and Muslims. Gandhiji recommended adding a third colour white, that was to symbolise the remaining communities and the spinning wheel to symbolise the progress of the Nation. Hmmm. 10 years later, in 1931, a resolution was passed to adopt tricolour flag as our national flag. It was declared that the colors bore no communal significance at all. Ah! That’s a relief indeed! Later on, in 1947, the Ashoka Chakra replaced the spinning wheel, and thus our present day National Flag came into existence. Isn’t it amazing how the evolution of our national flag reflected the political developments in the nation in those times! Team ChangeBhai is proud to be Indian and wishes a very Happy Independence Day to all fellow Indians! May we value our freedom!